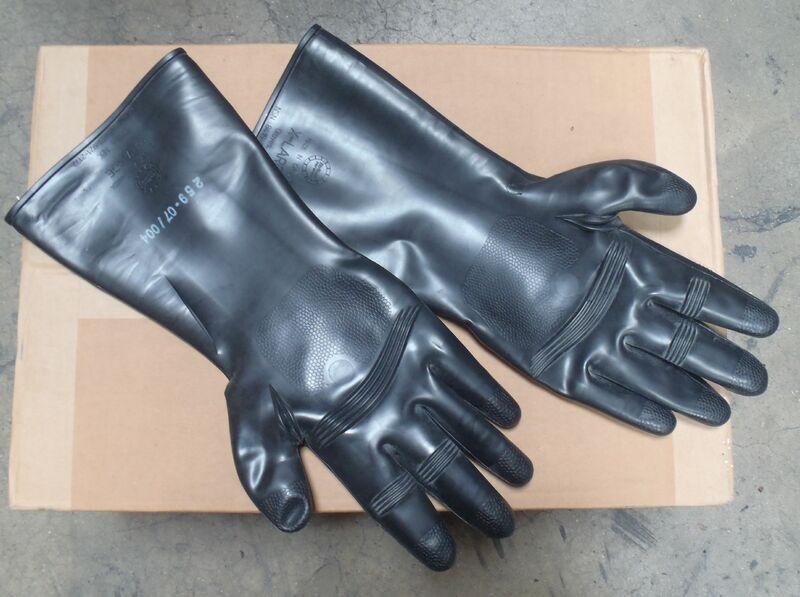 A pair military NBC gloves. Brand new un-issued condition, in adults size. Team these up with an NBC suit and boots for full nuclear protection. Styles vary and may be slightly different than the photo.